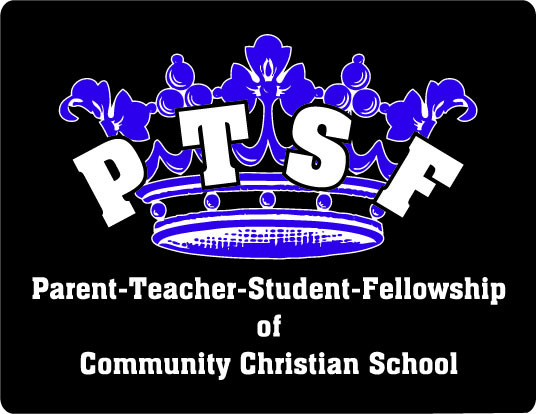 All staff, parents, and students are considered members of the PTSF (Parent-Teacher-Student Fellowship). The PTSF works alongside the administration to provide for special financial needs of the school and works together for fundraising activities like the Fall Festival, Box Tops for Education, Chocolate Sales and more. Their hard work has provided CCS computers, playground equipment, vehicles, kitchen equipment, teacher Christmas bonuses and more. You are invited to come and volunteer with us! Please contact the PTSF office at ccsptsf@ccsroyals.com to volunteer or for more information. Take the 2-Hour Pledge to give two hours of your time to Community Christian School PTSF! Children whose families are involved feel more engaged and are more likely to feel like they are part of a community, and as a result they do better in school. Research has shown that people who volunteer feel more refreshed and rejuvenated after giving their time. Please contact us at ccsptsf@ccsroyals.com if you would like to volunteer. We look forward to seeing you all on August Registration Day where we can meet you and explain how you can support CCS. Make sure to stop by the PTSF table to see us! Thank you for your support of our school!